I got one last painting in before the tulips were done. 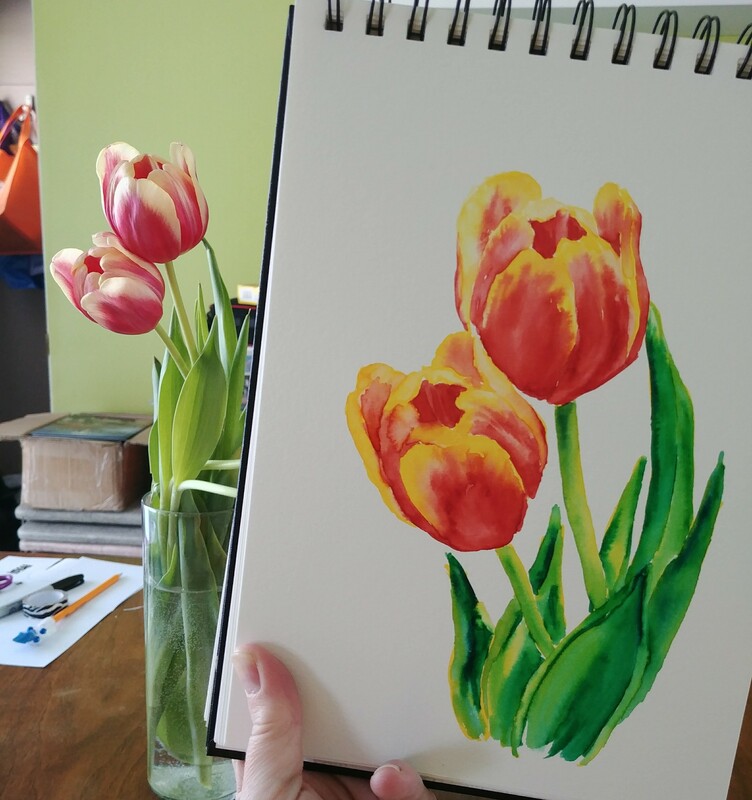 At first I was not as pleased with it because I did not match the colours quite right–the tulips were starting to fade and I still painted them in vibrant yellow and red. I was planning to do another painting the next day to try to capture the fading colours, but the next morning I just touched the table and all the petals dropped off the flowers. So that was that. I am already missing having tulips on the table. Only a few days until the first day of spring and everything is still covered in snow here. I am busy dreaming and planning my garden, but it isn’t quite enough and I am itching for some real flowers. 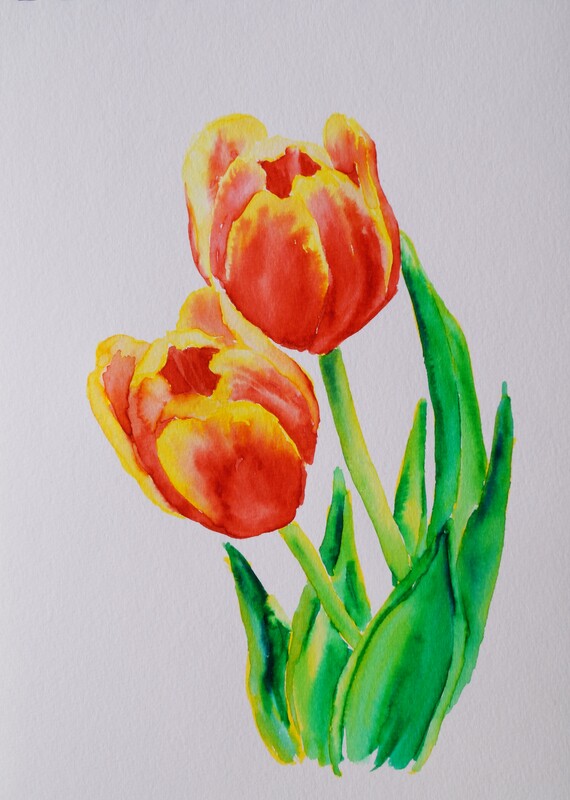 I think I need to buy some more tulips, even if I don’t paint them. ← Flowers All the Time.